Archi-Choreographies: Locating/Dislocating Habits (Workshop)｜Event | Kinosaki International Arts Center" /> Megumi Kamimura+ No Collective + Shinichi Takashima "Past Future Perfect"
Schedule:❶2/21 wed.&❷2/23 fri. &❸2/25 sun.&❹2/28 wed.
Megumi Kamimura+ No Collective + Shinichi Takashima "Past Future Perfect"
“PAST FUTURE PERFECT” regards people’s habits (or “Kuse” in Japanese which encompasses everything from verbal tics, propensity for lying, proneness to being lazy, sexual proclivities to messy bedheads) as primordial choreographies that register previous physical contact with the world by biasing the body in particular ways. 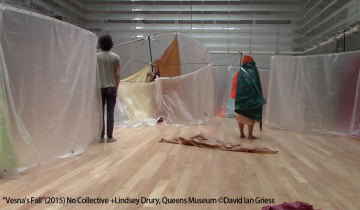 Working under the hypothesis that “one always proposes oneself to others inadvertently through unconscious display of habits,” the project explores the use, misuse, and abuse of such “proposals” along with the strange temporalities embedded therein. During the residency, artists will organize four workshops that aim to locate and dislocate such habits (the archi-choreographies of self) through externalization and dissemination: by making them explicit and teaching them to others. 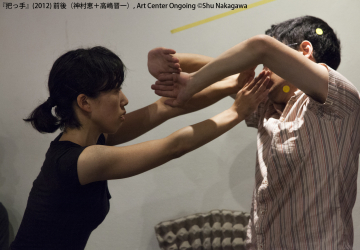 Contrary to ordinary dance workshops, the aim of this workshop is not to develop or learn new forms of movement, but to cancel the dance one is already dancing without knowing so. We welcome anyone interested in trailblazing a different approach to dance and choreography, or anyone who simply wishes to stop dancing. The participants of the workshop will become members of the project and join the performance presentation on March 3. For people of all ages above elementary school. Prior experience of dance is not required (as we are claiming everybody inevitably has one). The workshop can be bilingual depending on the participants.